Sitharanan said govt decided for procuring 2 squadrons of Rafale jets as emergency measure in wake of China, Pak ramping up their air power. 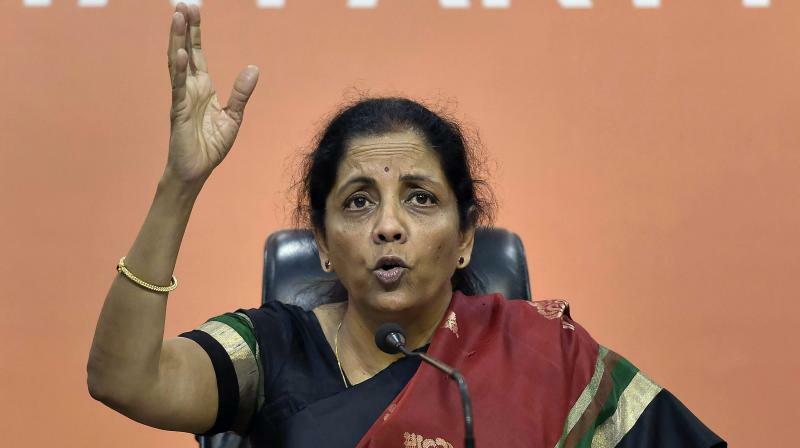 New Delhi: Defence Minister Nirmala Sitharaman has ruled out any engagement with the opposition on issues relating to the multi-billion dollar Rafale fighter jet deal, saying they do not deserve to be involved after throwing muck on a very sensitive issue concerning India's defence preparedness. "Is there any point of calling them and explaining? They are misleading the country with something which was not even agreed to during the UPA government. You are throwing an allegation saying there is a fraud. You did not care for operational preparedness of the air force," she told PTI in an interview. "I have not got to know who is Dassault's offset partner..It is a commercial decision. There are laid down procedure to check the process of fulfilment of offset obligations. Neither I can accept, nor I can suggest, nor I can reject anybody from going with anybody," she said.